A healthy ecology is not only the fundament of SEKEMs activities but of all life. Since 1977, SEKEM reclaimed 1,628 Feddan (approx. 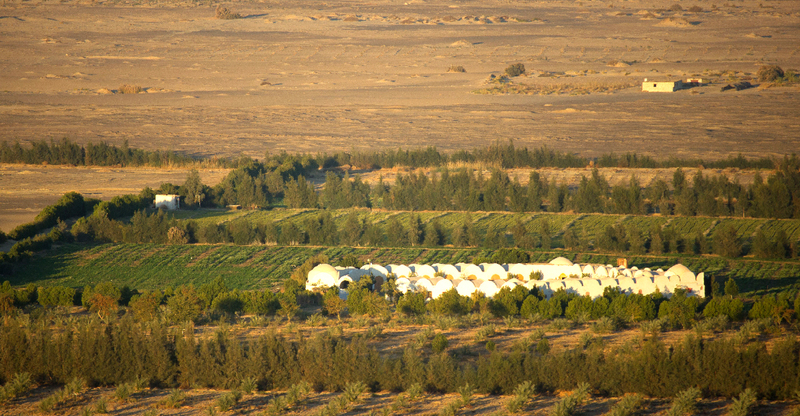 684 hectares) desert land by using Biodynamic agricultural methods. In 2016, this number didn’t change but the initiative could manage to keep its land fertile which is already challenging in a desert country like Egypt. 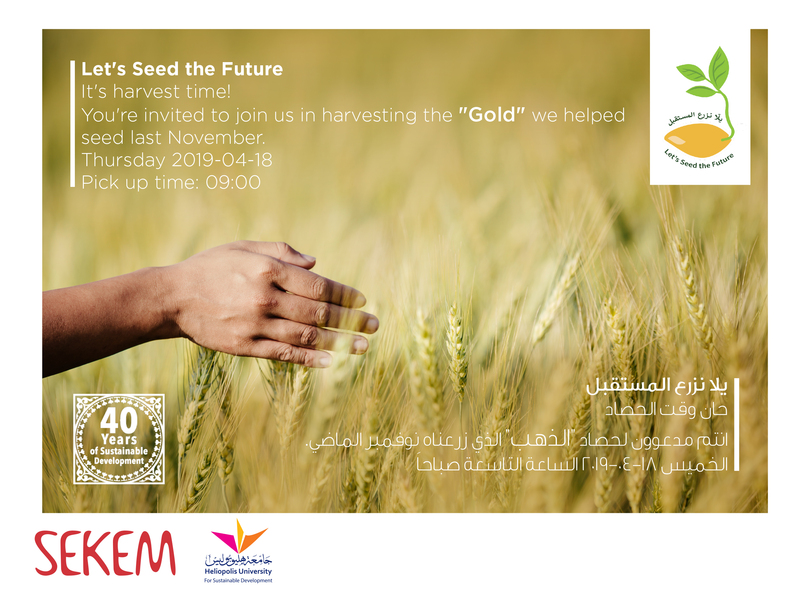 On top of that all the 477 supplying farmers of SEKEM registered under the EBDA operate on 4,441 feddan (approx. 1,866 ha), which means that they maintain a soil fertility-friendly crop rotation over the course of three years. Next to cultivating land, sustainable ecology means much more. Hence, SEKEM keeps several animals, which are of high importance for a healthy farm circle. 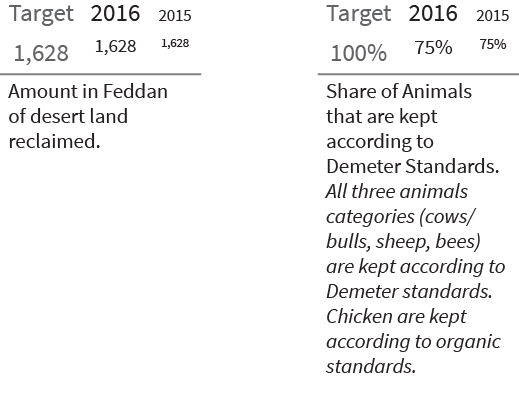 In 2016, SEKEM had 22 bulls and 130 dairy cows. This year the fodder for the cows has been changed with less concentrated feed and much more clover and silage fodder. This reduced the productivity of the milk cows from ca. 23 to 20 litres per day but overall made the livestock more profitable. SEKEM continued to have laying hens and increased its number from 17,500 to 19240. The number of sheep was reduced from 554 to 463 which represents a normal yearly fluctuation. Also affected by seasonal fluctuation and natural population decrease over winter were the bees that counted 35 hives in the end of 2016 as opposed to 54 hives the year before. All cows and bulls, sheep, and bees are kept according to Demeter standard. Only the chicken are kept according to organic standard. Our intention is to upgrade chicken to Demeter standard as well but this needs investments and management capacity, which does not reflect our priority at the moment. Animal manure is used for making compost for the cultivation of land as a main fertilizer. In 2016, SEKEM produced 2250 tons compared to 1,114 tons last year. But the animal’s dung is not only used for Organic compost but also for producing Biodynamic preparations. In 2016, SEKEM organized the first Day of Biodynamic Preparations which co-workers, farmers and pupils attended. Biodynamic preparations are used to vitalize the soil and strengthen both the growth and quality of the plants. They are one main feature of Biodynamic agriculture and are a basic requirement for the Demeter-certification. As SEKEM received the Land for Life Award by the United Nations in 2015 for its efforts in combating desertification, the initiative took the opportunity to raise awareness on the topic by showing how SEKEM is committed to create land for living – not only via ecological activities but also by sustainable economical, societal and cultural efforts. 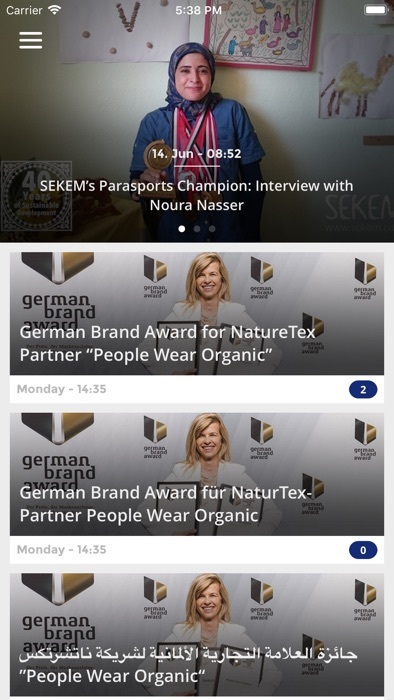 In four comprehensive stories, SEKEM described the challenges that Egypt is facing through the ongoing desertification and how SEKEM approaches them. 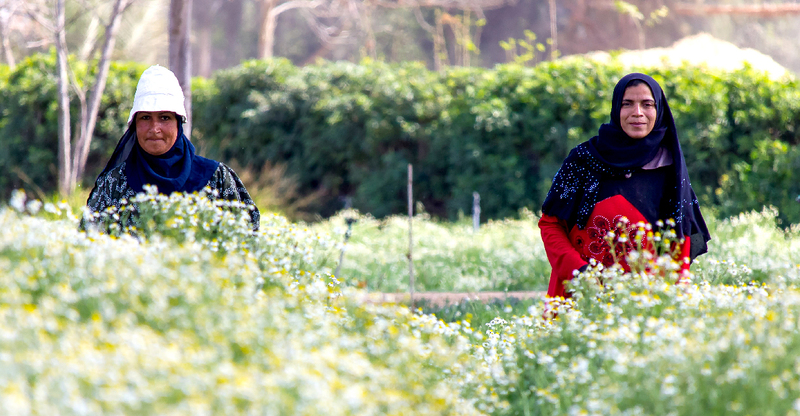 When protecting Egypt’s ecological system, trees play an essential role. SEKEM cooperates with international companies and organizations for active climate protection. In 2016, for instance, the German pliers company KNIPEX started to plant 25,700 new trees on one of SEKEMs desert farms. Also the SEKEM Friends Association Austria went into the desert and put seedlings of casuarina trees into the soil, which are known for their fast growth especially in desert climate and bind 3.5 tons of CO2 already within the first 30 years – which means an annual average of 0.12 tons per tree. Also the Carbon Footprint Center (CFC) that was founded by the Heliopolis University, addresses burning issues of the country with several studies. It supports for example other enterprises by analyzing their environmental performance in regards to greenhouse gas emissions, thus assessing its impact on climate change. 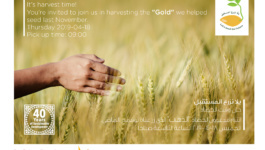 The CFC was also coordinating the study “The Future of Agriculture in Egypt” which compares the costs of Organic and conventional agriculture by applying the “Full Cost Accounting” methodology. The research concludes that although Organic agriculture has slightly higher direct input costs of production, it enables a reduction of the environmental and health damage costs, and therefore, results in better cost effectiveness and profitability in the long-term for the society as a whole. The total carbon footprint of SEKEM was 3,017,332 tCO2e as opposed to 3,237,623 t for last year. Egypt has perfect conditions for solar energies, which help, among others, to reduce the emission of dangerous greenhouse gases. Since many years SEKEM maintains ongoing small scale renewable energy projects. In 2016, SEKEM went on with implementing several new solar projects. In October, SEKEM and the Heliopolis University organized a huge event on the occasion of installing the first solar thermal power plant of its kind in Egypt, for instance. 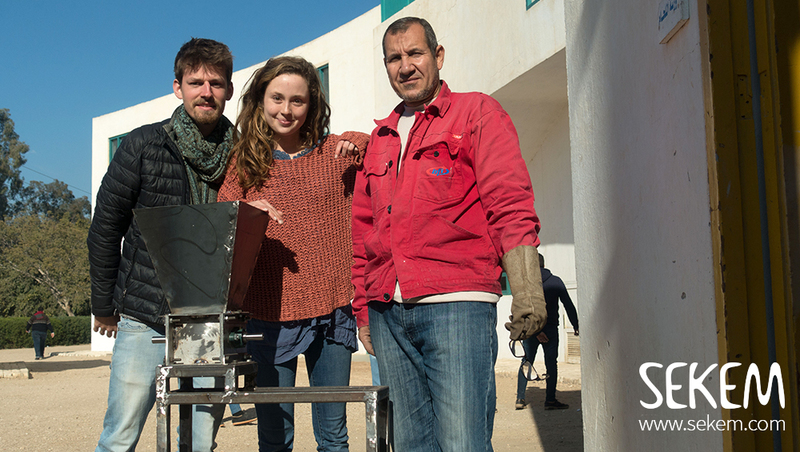 The solar system is a part of the European Union funded-project “Small Scale Thermal Solar District Units for Mediterranean Communities” and contributes to a comparative study on the best solar energy techniques for several countries. At the same time, it shall supply SEKEMs Medical Center with energy and scale down the general electricity consumption. Together with its Austrian partner company and in cooperation with the Austrian Development Agency (ADA), SEKEM Energy held the conference titled “Paving Ways Together for Solar Thermal Energy in Egypt” in 2016. The participants discussed solar thermal energy projects. 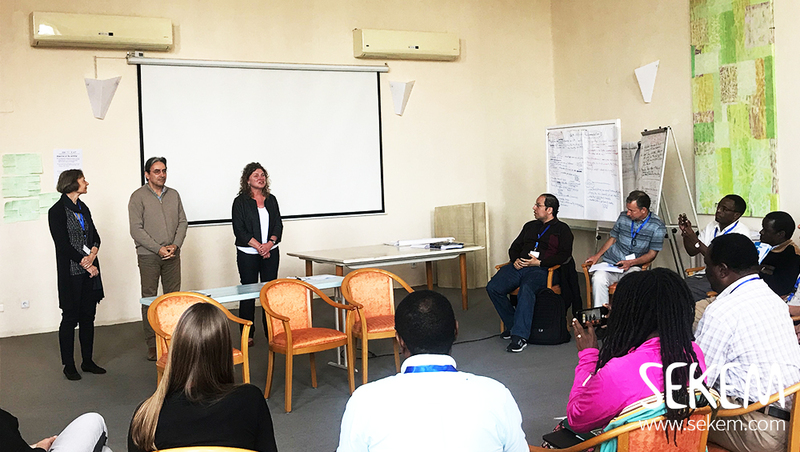 Also, the certified “Train the Trainer Program”, which was offered by SEKEM Energy to the Engineering Department staff at Heliopolis University, was presented. One outcome of the conference was the idea of establishing a Solar Thermal Federation Egypt (STFE).Energy to the Engineering Department staff at Heliopolis University, was presented. One outcome of the conference was the idea of establishing a Solar Thermal Federation Egypt (STFE). Despite its favourable sun radiation Egypt remains a difficult place for renewable energy due to the high energy subsidies. The price of one litre diesel (around 15-20 EUR cents) is still too low to allow for investments into renewable energy sources, such as photovoltaic systems. This is also the main reason why SEKEM in its off-grid location at the desert farms nearby Wahat El Bahreya, Sinai and Minya still relies heavily on diesel generators for power generation for irrigation. But having already 2 solar power systems at the Wahat El Bahareya Farm, SEKEMs management is confident that PV solar pumping is the solution for the future and the remaining challenge for going “green” remains just an adequate financing. In the graph below one can see that most of SEKEMs energy demand is covered by the government grid (77 percent). All of SEKEMs agricultural activities would not be possible without water. SEKEM is cautiously analyzing and monitoring its water consumption. By 2025, United Nations projects 2.7 billion people will face severe water shortages. The scarcity of natural water resources is also main ecological problem Egypt and its neighbors are presently facing. Although Egypt is already living in water scarcity, the country will suffer the second most, after Bangladesh, from sea level rising due to its low Nile-Delta region. While some of the SEKEM Farms use Nile water, others use groundwater – according to the area where they are located. In 2016, SEKEM decreased the usage of groundwater for agricultural use by about 16%. SEKEM inspects the well water levels to only withdraw sustainable water amounts, for instance. In general, SEKEM reuses 100% of the water which can be reused.